Just when you think you understand the ins and outs of your health insurance plan, you turn 65 and find yourself trying to navigate the new world of Medicare. As with anything related to health insurance or government, it can be very confusing. The information that follows can help simplify this very complex issue, providing the information you need to know in order to make the best choices for your health care moving forward. Enrollment in Medicare Part A and B is automatic when you turn 65, if you are already receiving Social Security benefits. Some people with disabilities are eligible before they turn 65. A Medicare card will be mailed to you about three months before your 65th birthday. If you never paid into Medicare while you were working, you may be required to pay a premium for Part A. Most people pay a premium for Part B, regardless of paying Medicare taxes. If you aren’t receiving Social Security benefits (maybe you’re still working and receiving company-sponsored health care), you may want to wait to sign up for Medicare. You may sign up when your group coverage ends, or in the eight months following the end of employment (whichever happens first). Part B is optional. If you don’t want Part B, follow the instruction, printed on the back of your Medicare card – you’ll have to send the card back. If you keep the card, you will have Part B and pay Part B premiums. 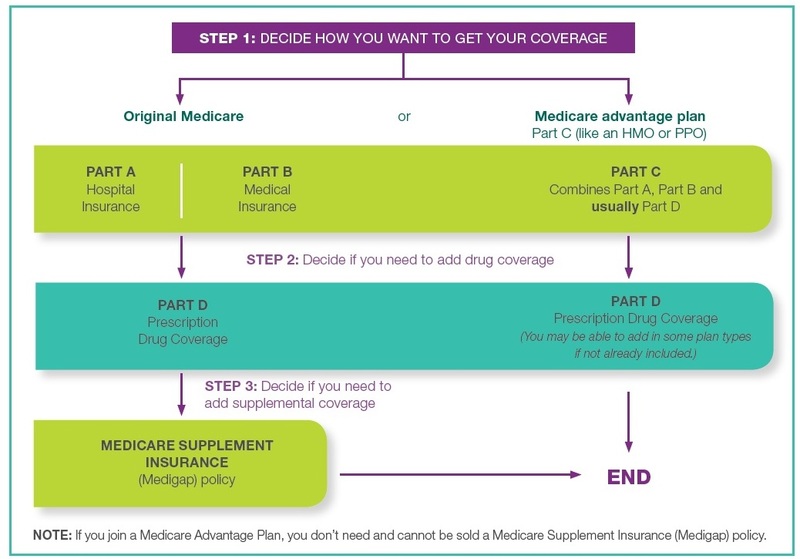 If you decide to go with Part C, you can work directly with a Medicare Advantage Plan (through a private insurer) and they will help you set up all parts of your health care coverage. Many Medicare Advantage plans are preferred provider organizations (PPOs). You should make sure you choose a plan that includes your preferred hospital and doctors. 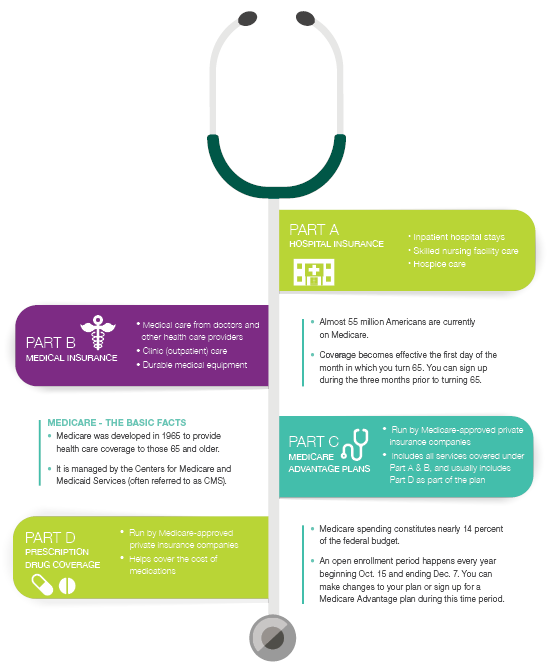 Disclaimer: This is an overview of the Medicare program and not meant to influence your health care insurance decisions. Please do your research on what’s best for your situation and speak with the experts if you have any questions. Learn more. Visit www.medicare.gov to read more about Medicare plans and to sign up. You may also call 1-800-MEDICARE to speak to someone from CMS about setting up your plan. The Senior Health Insurance and Information Program (SHIIP) is also a great resource. Call 1-800-351-4664 to meet with a counselor who can help choose a plan that works best for you.